- High performance, and reliability with lowmaintainence. - 220 VAC 50 HZ OR optionally rechargeable battery powered. the incredible popularity of carbon silicon analyzers and the dramatic increase in the need to monitor and control the composition of molten metal on the foundry floor has lead to the birth of this marvel – the ferrolab excel. 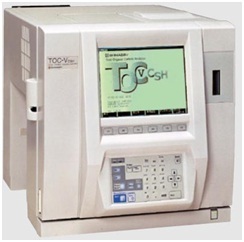 Suyash Carbon Silicon Analyser Does Not Need Frequent Calibration. Operates From -20 °C To 55 °C. - Very accurate, fast process using latest microprocessor. Analysis within 75 seconds. When used with Suyash Patented Supercups, give readings in 45 to 55 seconds. - 3 separate digital displays for %C.E., %C, %Si. We are involved in offering excellent quality Carbon Silicon Analyser to our most valued clients. Our offered Carbon Silicon Analyser is widely appreciated by our clients which are situated all round the nation. 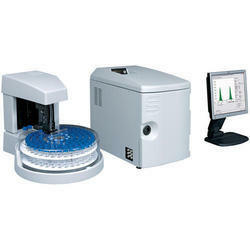 We offer Carbon Silicon Analyser at most affordable prices. Carbon & Sulfur Analyzers- Tube furnace '&'High frequency furnace' Carbon, Sulfur, Carbon & Sulfur Analyzers for Coal, Coke, Cement Ores, Rocks, Iron, Steel & etc. applications Ash Fusion Analyzer- An automatic & unattended Ash Fusion Analyzer for Coal & Biofuel applications. This is the only Analyzer for all the Actual International Ash Fusion norms.